Success is a team sport. It requires collaboration, coordination, community. Technological innovation is simply impossible without shared platforms, technologies, or data. The growth of the open data movement has done more than anything else to spur the innovations all around us. If we want to see more advances, more growth, we need to support this movement. That’s why Fafnir is proud to join the leading global network for the open data movement: the Open Data Institute (ODI). 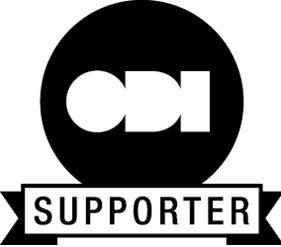 The ODI is an independent, non-profit, non-partisan organization building a strong, fair and sustainable data economy by helping businesses and governments get data to people who need it. In just over five years, the ODI has reached a global audience of millions, trained thousands in new data skills, supported hundreds of startups and unlocked over £66 million in value. We at Fafnir are particularly excited about how ODI’s membership is truly global. We look forward to connecting with our peers around the world and finding new opportunities to work together.